After so many requests to release my X32 Preset Library for the X-Air series consoles, I have put these together into a downloadable package! Over the years as an audio engineer, you tend to learn certain tricks to sculpt the right sound out of an instrument or microphone. I have spent the time placing my knowledge and experience into this Behringer X-Air Presets Library Download so that you can quickly finish sound check and get to having more fun mixing! 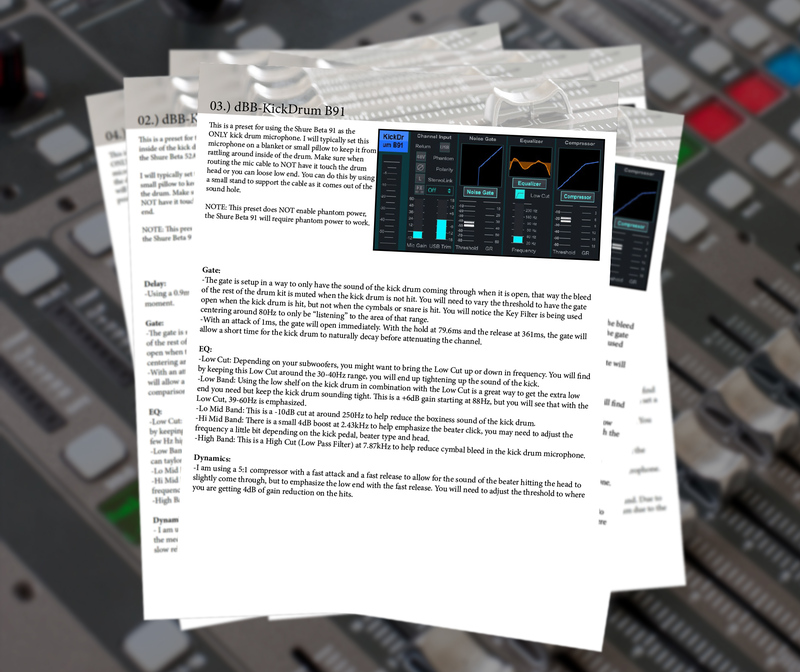 Behringer X-Air Presets Download Documentation included! Not only do you get a full set of 24 presets for your library, but a .PDF that includes the WHY for the settings that I applied to the channel. 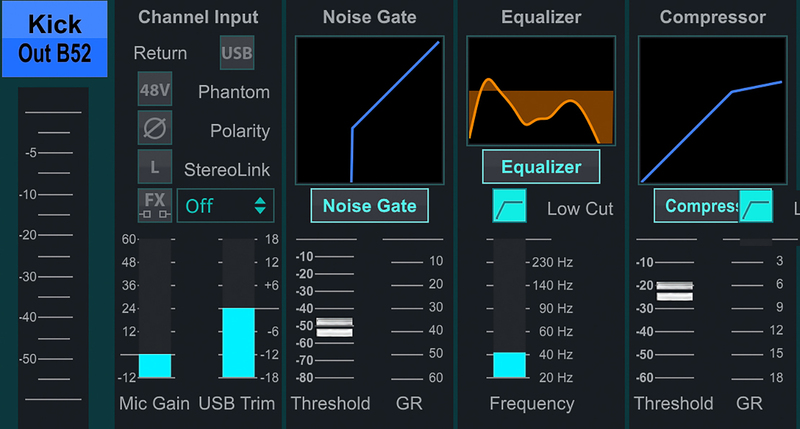 Often times presets will help you get the sound you are looking for, but you don’t know HOW it helped get the sound. If you don’t understand the how you won’t feel confident to tweak the preset to really sculpt the perfect sound for your mix. This is why I not only include the presets with the download but a 24 page .PDF with SO much information on why I applied the settings that I did. Presets are not an ‘end all fix all’ item, they are merely a very good starting ground for getting that golden mix you want. NOTE: X AIR Edit is required for loading onto your XR12, XR16, XR18 and X18. 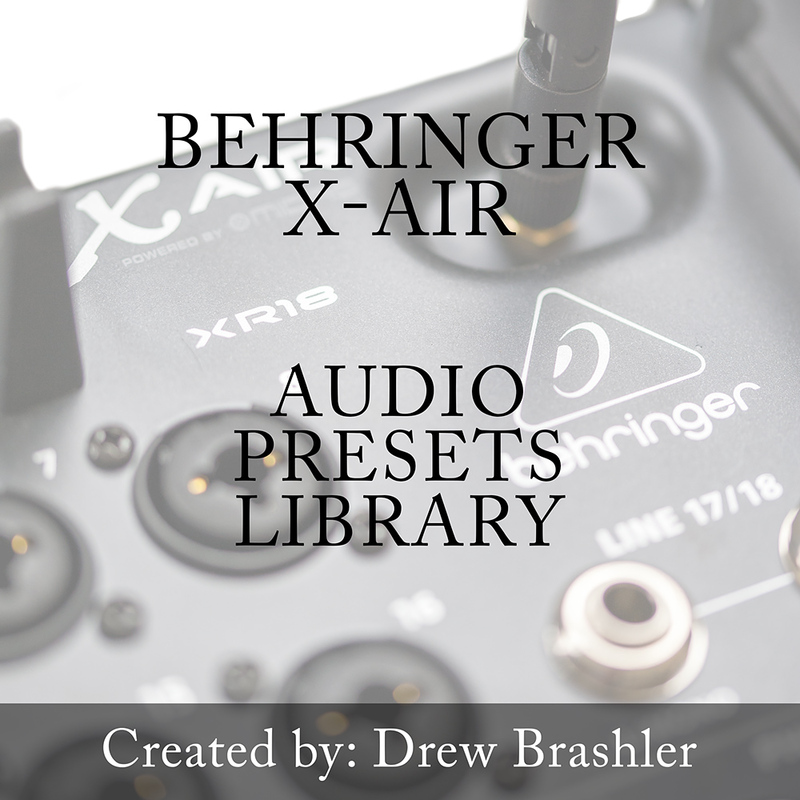 You can download X Air Edit through Behringer’s Website here. Also, a .PDF reader is required for viewing the documentation. Make sure to have the most current version of Adobe Reader which can be downloaded for free here from Adobe.